Take your partner and get ready to dance the evening away. Dancers in the Tamworth area of Staffordshire will be able to take one more twirl around the town's Tamworth Assembly Rooms before the Victorian hall closes for major refurbishments. The Assembly Rooms will open its doors for one final tea dance on Friday 15 January when people will be able to take to the floor for a waltz, foxtrot or quickstep. The venue closes in February to undergo major improvement work which is expected to take around 18 months to complete. 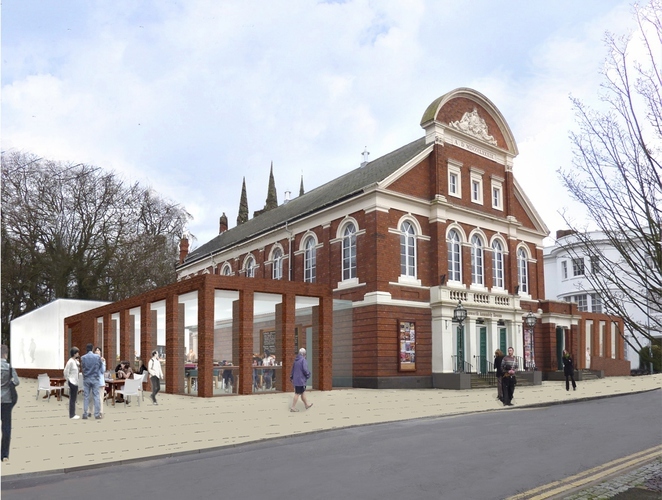 The welcome transformation will include a new café and exhibition space, new box office, double glazed front doors and the addition of a glass studio space at the side of the building. Tamworth's tea dances have been a popular event on the Assembly Rooms calendar for several years and the January session is expected to follow suit so pre-booking is essential. Dancers are invited to come along by themselves and meet new friends, or bring a partner. Doors open at 7pm for a 7.30pm start. Tickets are priced at £6.50 , including a buffet, and are available online at www.tamworthartsandevents.co.uk, from the Tourist Information Centre in Corporation Street or by calling the Box Office on 01827 709618. A transaction fee of £1 is payable on all online and telephone bookings. Please inform the box office of any dietary requirements.